Tu Pair told the Other Press in an exclusive interview that she was simply planning to throw away her odd, lonely sock, when she realized that maybe the sock had feelings, too. Tu Pair set out to create an online space for socks to mingle and find love. 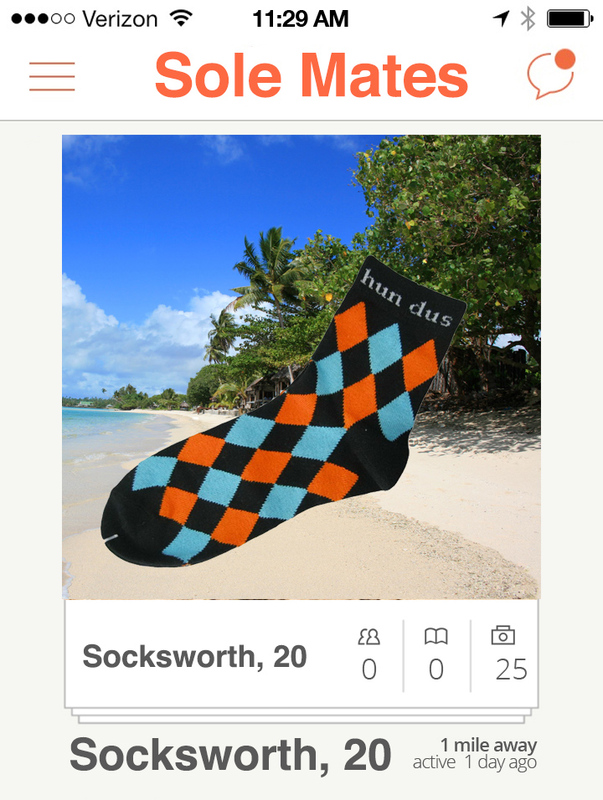 On Sole Mates, your sock can set up a profile with a picture and a short bio outlining a bit about its brand, level of wear (lightly worn to used up), and favourite dinner spot. Your sock can also include a small write-up about what they’re looking for in a match. Tu Pair anticipates that most socks will be seeking an exact replica of themselves—someone to really hold the mirror up to them. The website has a corresponding app which will feature a Tinder-style swipe function: swipe left to send it back to the bin, and swipe right if it’s a perfect match. Mobile functionality means your sock can seek its soul mate on-the-go—perfect for even the busiest socks! Tu Pair hopes to launch the website and app together by the New Year, but if you or your single sock just can’t wait to find true love, check out local Laundromats, the Craigslist missed connections forum, or even a local sock hop.